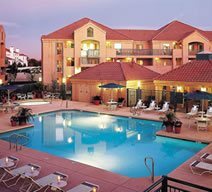 At Phoenix Scottsdale Golf, we take pride in providing discount Arizona golf vacations that focus on finding the best golf and lodging deals in Arizona. 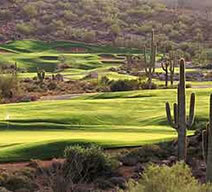 We live right here in Phoenix and play the golf courses regularly. 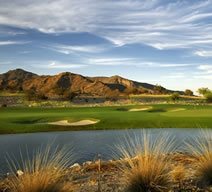 We provide detailed information and insider secrets to help make your Arizona golf vacation an unforgettable experience. 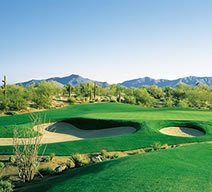 Save yourself the time and hassle of planning your Arizona golf vacation and let our experts plan it for you. 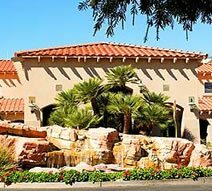 Our staff is native to Arizona and has first hand experience with all of the golf courses and accommodations that the area has to offer. We take the time to listen to your needs and understand your golfing style in order to make the best possible accommodation and course recommendations for you. 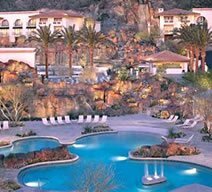 We have access to the latest tee time sheets and accommodation promotions to find the best package deals, enabling us to provide complete custom Arizona golf vacation planning at low package prices. We'll help you tee it up at some of the finest golf courses in the state and enjoy first class hotel and resort accommodations for much less than you think! We welcome you to use our free service to get expert advice and schedule Phoenix and Scottsdale tee times and lodging packages. Tee times may be reserved up to 120 days in advance and Arizona resorts and hotel reservations up to 1 year in advance. Arizona tee times can be made online through our online booking form or simply by calling the toll free phone number. 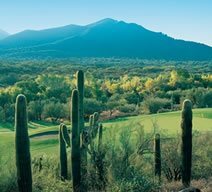 We look forward to planning your next Arizona golf vacation. 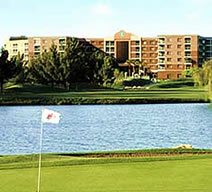 Enjoy the best golf resorts & courses in Phoenix. 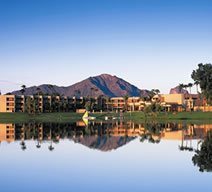 Experience top Scottsdale golf courses & resort lodging. 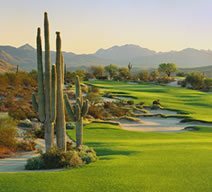 Discount golf packages & tee times to Arizona. "We had a great golf vacation experience! Five stars." "We had a fantastic time, and I will be booking tee times through you again next year." "The courses were outstanding. Your selections were perfect in terms of what I wanted the guys to experience." "We had a great golf vacation. No hassles. We will be in touch with you again next year!" "Wonderful service. Everything came off without a hitch and we had the best golf vacation ever." "Thank you for taking the hassle out of travel! You put together an awesome package. Everything was as described and as promised." "I really appreciated the time you spent taking care of me and my golf reservations in Scottsdale." "You did a fabulous job setting up our golf trip."